Muhammad Ali has been married four times and has seven daughters and two sons. Ali met his first wife, cocktail waitress Sonji Roi, approximately one month before they married on August 14, 1964. Roi's objections to certain Muslim customs in regard to dress for women contributed to the breakup of their marriage. They divorced on January 10, 1966. 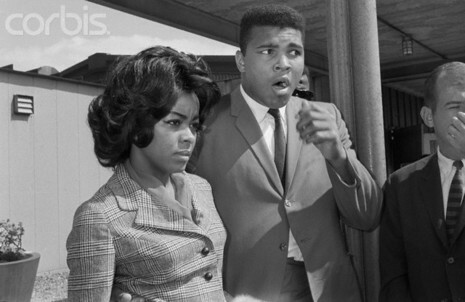 Sonji Roi is best known for being the first wife of American boxer Muhammad Ali. She died on October 11, 2005. Ali and Roi married on August 14, 1964, after meeting approximately one month earlier. Roi was working as a cocktail waitress when they met. They divorced on January 10, 1966. Reportedly, Roi's objections to certain Muslim customs in regards to dress for women contributed to the break-up of their marriage. There were no children from this union. In the movie ''Ali'' starring Will Smith, the role of Sonji Roi was played by Will Smith's real-life wife, Jada Pinkett Smith.